A 2013 Morse High School graduate and Spring Valley native is serving in Japan in the U.S. Navy aboard USS Germantown. 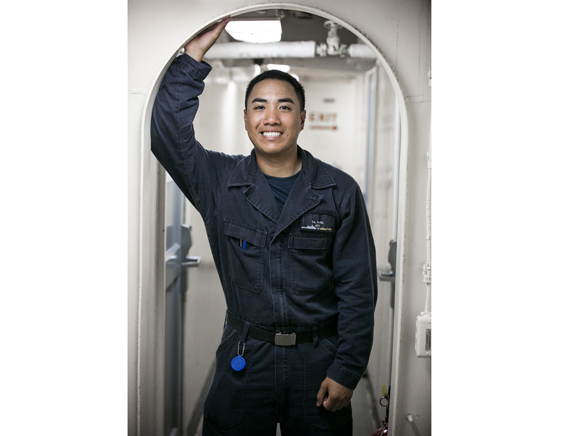 Seaman Tyron Pajel is a boatswain’s mate aboard the ship operating out of Sasebo, Japan. “I like the operations portion of my job, like the lifting and the mooring,” said Pajel. “Everyone at this command are all motivated and we keep each others morale up,” said Pajel. “Serving in the Navy means I get to serve my country while experiencing new things and seeing the world,” said Pajel. Next articleSullivan Solar Power installs first certified LG Chem battery in the continental U.S.